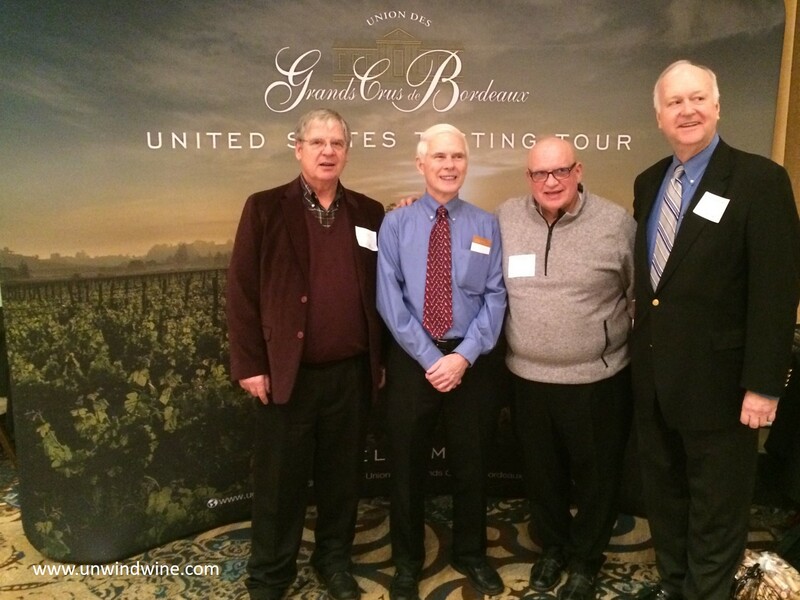 The UGC Bordeaux' (Union des Grands Crus de Bordeaux (UGCB)) annual release tour visited America to showcase their latest vintage release of their wines this week. Following stops in Toronto, Washington DC and Boston, they held their grand tastings at two spectacular elegant settings, Cipriani on 42nd in NYC and the Drake Hotel, Chicago. 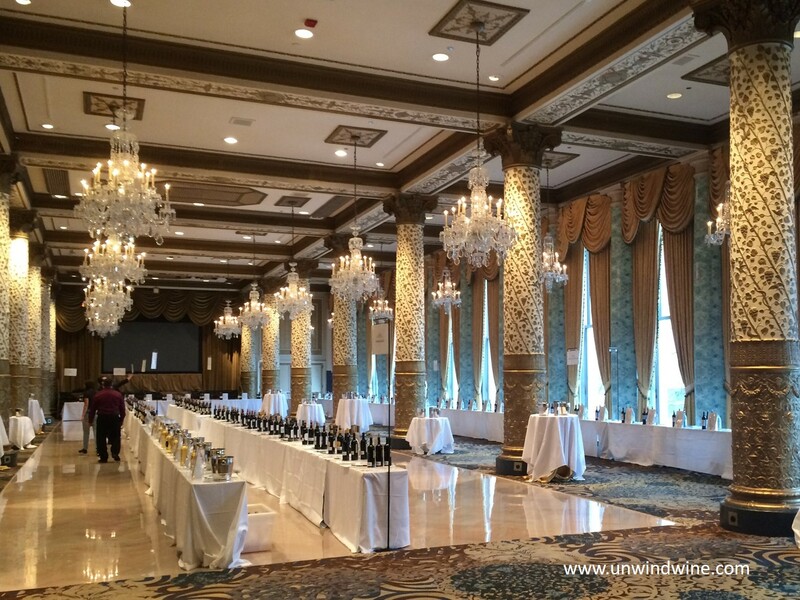 Once again, our 'Pour Boys' wine group helped host the event in Chicago at the Drake Hotel in the elegant grand ballroom (shown below). Following the tasting, we attended a gala dinner at remarkable Schwa Restaurant. 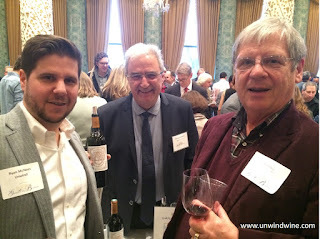 This was the seventh Bordeaux release event that wine buddies Dr Dan, Ernie and Lyle (shown right) accompanied me to assist the team at Balzac Communications to host the event, helping with set up, logistics and then standing in to pour wine for any featured producers that were not able to attend in person. Earlier UGCB and related events are featured in earlier unwindwine blogposts. 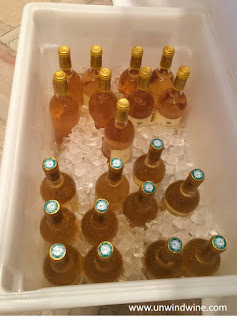 More than once, winter storms delayed or disrupted travel prohibiting some of the producers to get to Chicago for the event which started our standing in for them, hence we coined the name the 'Pour' Boys. 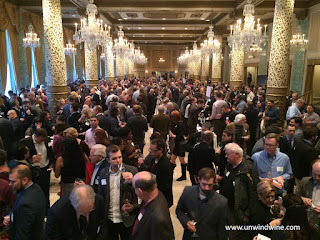 Close to 100 producers, winemakers and their commercial representatives presented their wines on the tour which was attended by nearly 800 members of the trade and press. 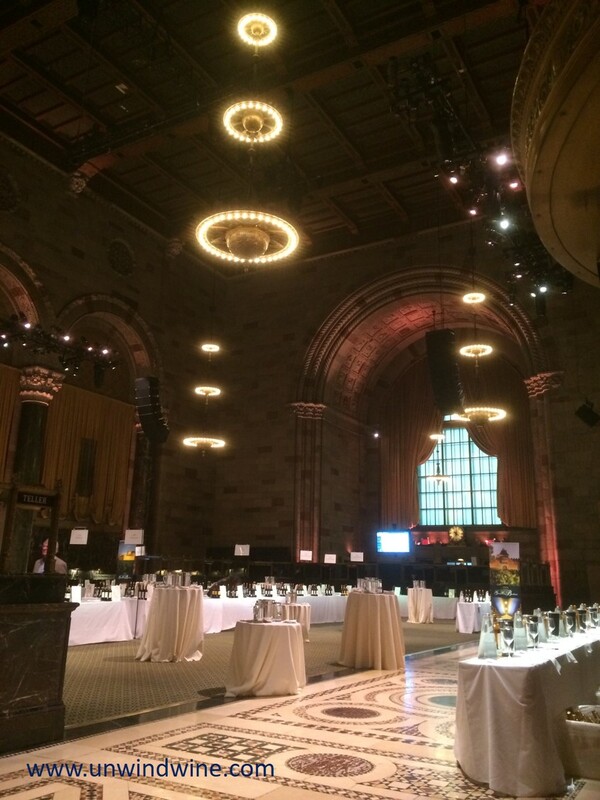 Following the trade event in the afternoon, each evening a public tasting was hosted by a leading local wine merchant. The interest in and enthusiasm for the 2015 was apparent by the attendees as this promises to be the best release since 2010. 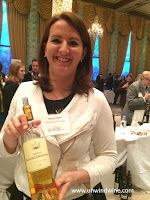 Several producers compared this vintage to a combination of the best of 2005 and 2010. 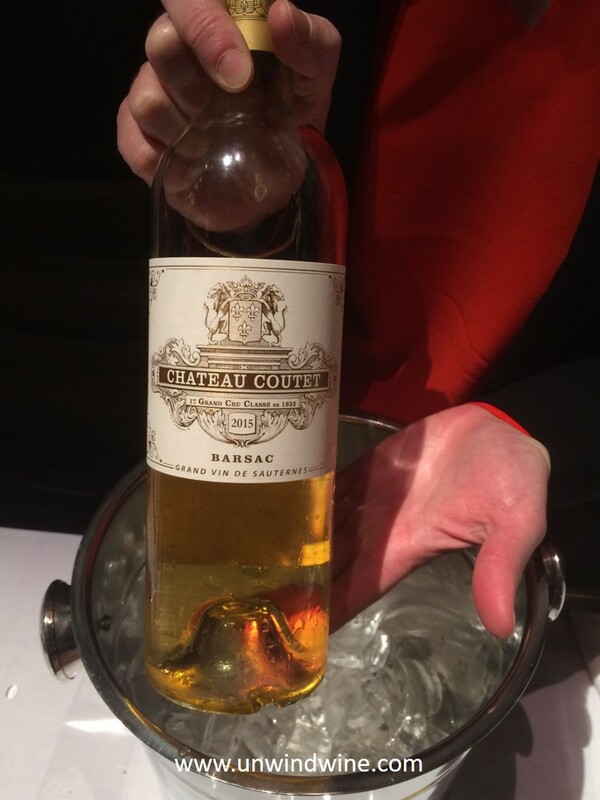 As the saying goes, 'all boats rise with the tide', a spectacular vintage such as this affects the wines from the high end to the secondary labels. This provides great opportunities for consumers as it promises quality wines at lower price points as well as in the ultra-premium more expensive levels. As with highly rated, highly anticipated vintages, prices are also higher accordingly. 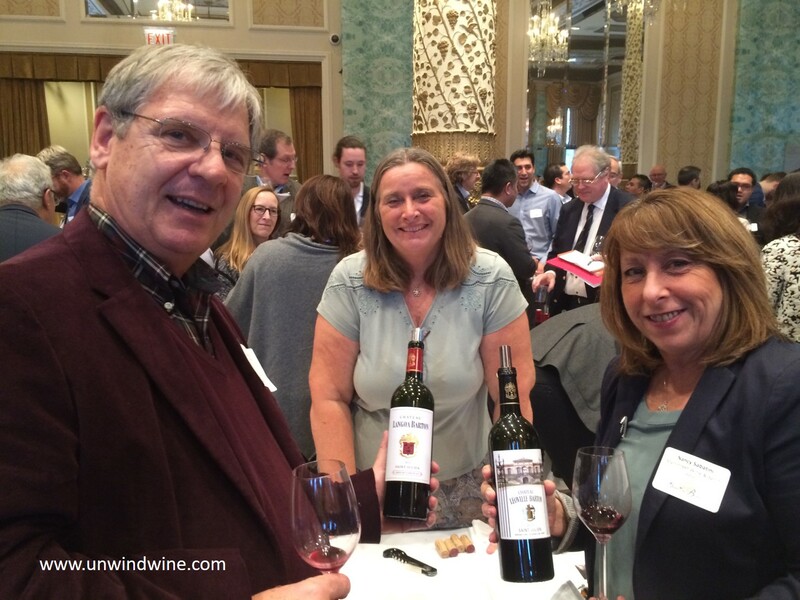 Following several more modest and a few lackluster vintages, 2015 promises great potential, and 2016 is expected to be even better! 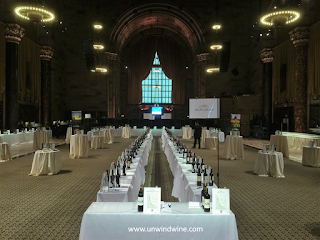 The quality of the vintage shone through with high quality representations from appellations across the region from the left bank to the right bank. Unlike recent years which were more hit and miss, our representative collection of benchmark wines that we collect, all showed exceedingly well. There were a few lackluster labels and disappointments, but they were far fewer in number than recent years. 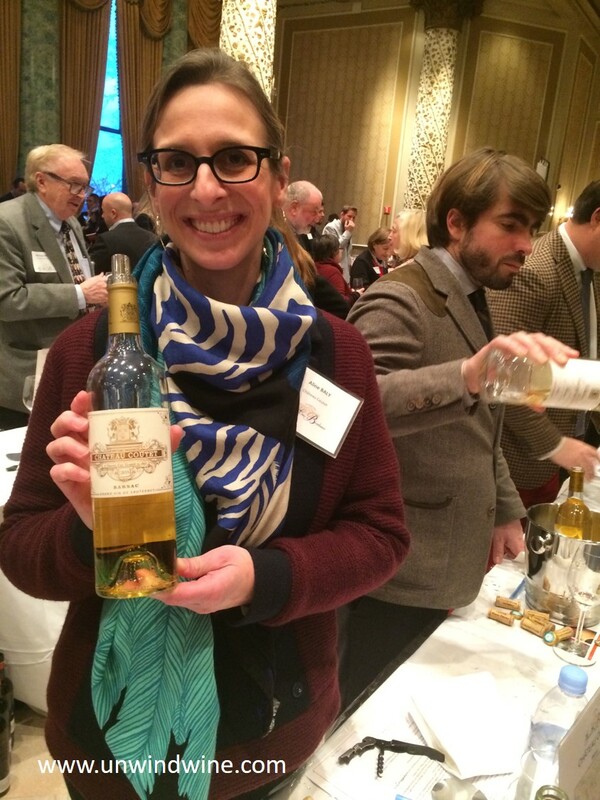 I found the Margaux, Pauillac and the Sauternes appellations to be especially impressive. Particular highlight standouts from the vintage that impressed me were Canon, Clinet, the Pichons (Pichon Longueville Comtesse de Lalande and Pichon Baron), Lynch Bages, Brane Cantenac, Cantenac Brown, Lascombs, Giscours, and many of the Sauternes including Coutet, Lafaurie Peyraguay, Bastor Lamontagne and Suideraut. The St Juliens, normally one of my favorite appellations seemed generally more moderate and even keeled but lacking expressive standouts. 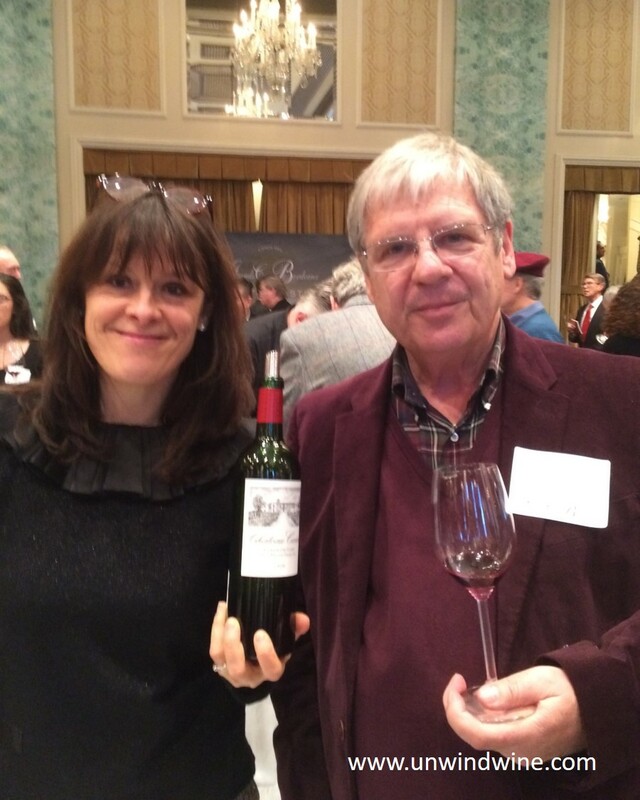 The 2015 Chateau Canon was the best in memory and I've collected and held this wine going back to the 1983 vintage. A blend of 72% Merlot and 28% Cabernet Franc this presented a smooth polished structure, an intense bouquet with bright vibrant pure fruits black berry and raspberry fruits accented by notes of floral and mineral. The 2015 Brane-Cantenac was as good as any I remember, a blend of 70% Cabernet Sauvignon, 26% Merlot, 3% Cabernet Franc and 1% Carmenère, presented blackberry fruits, hints of raspberry and tones of tobacco leaf and hints of cedar. 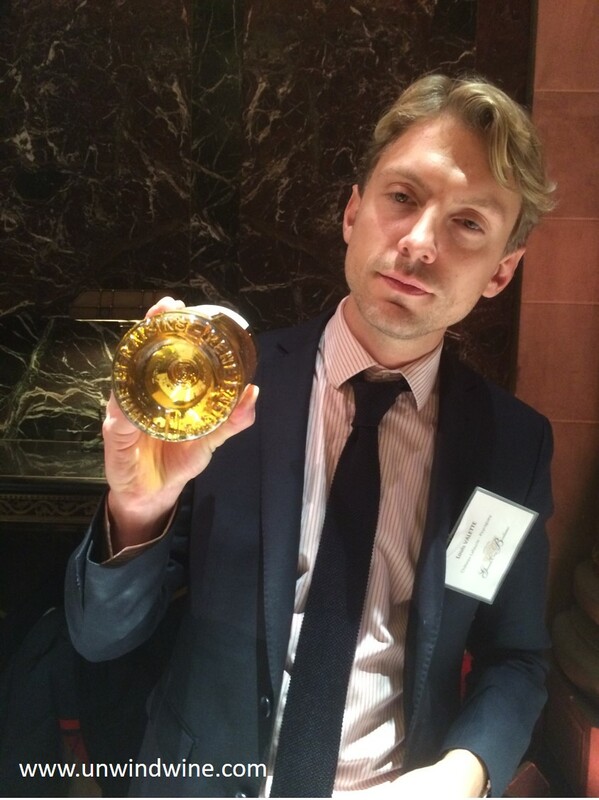 The 2015 Clinet. a blend of 90% Merlot, 9% Cabernet Sauvignon and 1% Cabernet Franc, was smooth, elegant and polished, presenting perfumed bouquet turning to black fruit, notes of menthol, creosote with silky smooth soft tannins. The 2015 Clos Fourtet, a blend of 90% Merlot, 7% Cabernet Sauvignon and 3% Cabernet Franc presented full, bright floral bouquet with notes highlighting the black fruits turning to tones of cassis, dark mocha and menthol mint with a pure elegant polished structure. 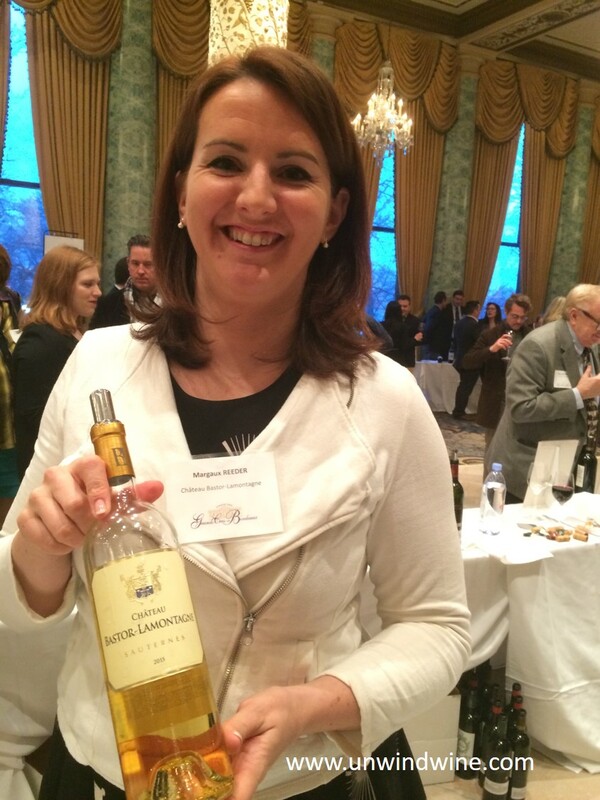 The 2015 Suduiraut was intense, thick, unctuous with apricot nectar and notes of honey on a tongue puckering finish. The 2015 Domaine de Chevalier,, a blend of 65% Cabernet Sauvignon, 30% Merlot and 5% Petit Verdot was also the best in memory since I first discovered this label in 1994, presenting a full bouquet smooth blackberry fruit and hints of pepper. The 2015 Giscours is a blend of 70% Cabernet Sauvignon, 25% Merlot and 5% Petit Verdot showing bright vibrant black currant and black cherry fruits turning to notes of spice, menthol, cedar and smooth silky tannins on the lingering finish. The 2015 Pichon-Longueville Baron was complex concentrated with a firm structured backbone but was polished and smooth with hints of menthol, mint and firm but approachable tannins. The 2015 Pichon-Longueville Comtesse de Lalande was as good as any I can remember, complex, firmly structured but a symphony of smooth polished well integrated flavors with the black fruits accented with refined notes of graphite, tobacco, leather and silky smooth tannins on the lingering finish.